Being involved in an accident can be terrifying. Realizing that the driver responsible for your accident has suddenly fled the scene can turn a scary situation into a real-life nightmare. If the driver is never found, who will pay for your medical expenses, car damages, and lost time from work? While you’re interested in finding the “at-fault” driver to pay for damages, the police are only interested in pursuing criminal charges against the hit and run driver. So, who is on your side? When there are criminal charges, as well as civil charges, after an accident, the cases can be extremely complex. And you need an experienced and skilled hit and run accident lawyer on your side from the very start. With a hit and run accident lawyer on your side, there are ways you can recover money to help cover your injuries. If you have PIP insurance, you may be able to start collecting money from your own policy until the hit and run driver is found. Hit and run accidents are why Uninsured Motorist Coverage exists on an auto policy. If you carry this coverage, which is a good idea for everyone, it will step into the shoes of the wrongdoer and cover your injuries up to the policy limit. Uninsured Motorist Coverage is in addition to your PIP coverages, such as medpay. 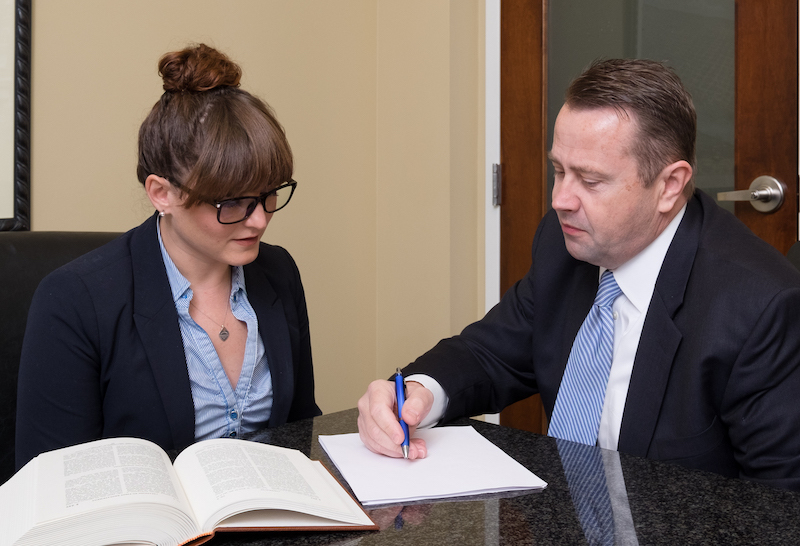 At Rainwater, Holt & Sexton, our attorneys will guide you through the process and help protect your rights to compensation. In the state of Arkansas, drivers are required by law to remain at the scene of any accident that causes injury or damages to another person or property. If the damage is to property only, the driver must make a reasonable attempt to notify the owner of the property and report the accident. If that accident resulted in injury or damage to another vehicle, all drivers must wait for law enforcement to arrive at the scene. Failure to do so could be considered a hit and run accident. According to the AAA Foundation for Traffic Safety, 11% of all reported accidents are hit and run accidents. Sadly, hit and run accidents can occur at any time and to anyone. They’re more common, however, at night when fleeing drivers are less likely to be noticed by bystanders or witnesses. They’re also extremely common when another car is parked, such as in parking lots or on streets. When drivers hit a parked car, there may not be any witnesses around, especially in dark or enclosed parking garages or on side streets. Their fear of being “caught” or being held liable for damages may cause them to flee the scene of the crash. There are important steps you can take after a hit and run accident to ensure that you have the best chance of recovering compensation. Failure to follow these steps could result in you being unable to receive the money you need to repair your vehicle and pay for your medical expenses. Look around for a note that the other driver may have left for you. If there are others around, ask them if they noticed who hit your vehicle. Gather their names and addresses and details of anything they happened to witness. Snap some pictures of the accident scene, as well as the damage to your vehicle. Be sure to notice any important evidence such as skid marks, intersections, lights, and eyewitness cars. Call 911 as soon as you are able. The police will need to fill out an accident report and begin looking for the hit and run driver. They may even be able to get security camera footage to help track down the “at fault” driver. You will need to report your accident to the insurance company as soon as you are able. They will need to begin the claims process and if you have optional PIP or UM/UIM coverage, they’ll need to draw from these policies quickly. Hit and run accidents are complex. As such, it is important to have an experienced and skilled hit and run accident attorney on your side throughout the process. The police are interested in finding the hit and run driver, but they’re not interested in finding you compensation. Your lawyer will be on your side and can help you deal with insurance companies throughout this difficult ordeal. Being involved in a hit and run accident can be a terrifying ordeal. You may be suffering from extreme injuries and unable to collect money unless the at-fault driver is located. When this occurs, you need an experienced and compassionate Arkansas car accident attorney on your side. From the moment you are injured, your lawyer can help protect your rights to compensation and ensure that you are not taken advantage of during this difficult time.